The Sterling City Council — and those attending their regular Tuesday night meeting — got a lesson on Colorado water law and Sterling’s water supply this week. Water engineers Jon George and Kristina Wynne of Bishop-Brogden Associates Inc. also spoke, giving an overview of the city’s existing water supply and augmentation plan. Wynne explained that in 2014, they developed a long-range plan to project the city’s future water needs. However, the last several years the city has not used as much water as projected, and she suggested that it would be appropriate to revise the long-range plan to make it more accurate going forward. They also noted that the city’s wastewater recharge pond represents an unknown. It has been an integral part of the city’s augmentation to offset its water use in the past, but for the past year the city has not been able to discharge wastewater to the pond because of violations of public health standards. If the city is unable to resume pumping to the recharge pond, it may need to develop other augmentation resources. The high-end estimate for the project is $36 million, but Saling said they are constantly looking at ways to save on costs. Wednesday, Saling said he expects that a presentation on the rate study for water and sewer rates will be given to the council in the next month. Council member Bob McCarty suggested the campaign should stress the age of the current system; the existing wastewater treatment plant began operations in 1978, Good told the council. 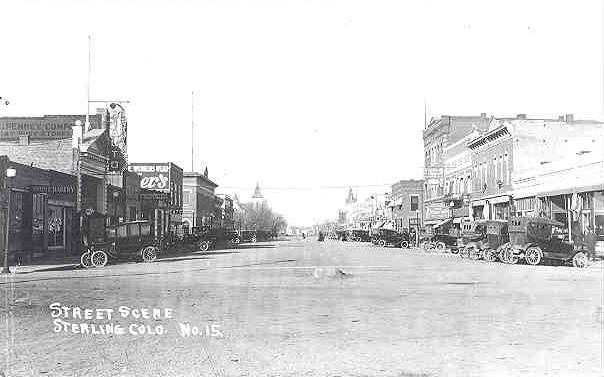 Saling noted that the city has 82 miles of sewer lines, the oldest of which was placed in 1898. According to Saling, the life expectancy for the physical structures of a wastewater treatment facility is about 20 to 25 years. Association, an organization that provides training and resources for small Colorado communities. The city was one of seven entries in the organization’s water taste test and received first runner up. Tuesday night, Sterling Mayor Dan Torres officially presented the award to the employees at the water treatment plant. He noted that the recognition comes from an outside agency that is unbiased. “To me that means more than anything else,” he said. He added that those who complain about the taste of Sterling’s water likely live in homes with old pipes that affect the water quality. “I think they (the employees) do a great job,” he said. “If your street address is an odd number, you may water on Tuesday, Thursday and Saturday. “If your street address is an even number, you may water on Wednesday, Friday and Sunday. “On whatever watering day your neighborhood is designated, there are no restrictions on the time you may water. “No one, however, is allowed to water on Mondays. “Personal vehicles may be washed only on one’s watering day. “Restaurants may serve water only upon request. “Vehicle fleets and vehicles in auto dealerships may not be washed more than once a week. “Golf courses utilizing City water shall not water roughs. “Trees, shrubs, perennials, annuals and vegetable gardens may be watered by hand, soaker hose or trickler system any day. Hand watering means holding a hose in the hand or with a watering can. It does not allow sprinkling. It’s not fair for you to break the law when your neighbor isn’t. It’s been said the best time to plant a tree is 20 years ago and the best time to conserve our water is before the well runs dry. Rob Demis of Hatch Mott MacDonald didn’t have good news when he gave an update on his company’s review of Sterling’s wastewater treatment plant during Tuesday’s Sterling City Council meeting. The engineering firm, which was contracted by the city to look at what improvements will be needed at the plant, has been working on the review for three months, but they are still looking at the data and developing preliminary alternatives. The company has identified two primary issues facing the city’s system: flooding and improvements necessitated by upcoming changes to regulations. Demis noted that the system has experienced multiple flooding events at the headworks facility in the last five years, from flooding of the river and heavy rainfall events. The flooding damages to equipment and pumping, overloads the pumping system and treatment plant, overflows into the river and leads to violations of the city’s wastewater permit. Each event can cost around $50,000 to $75,000 to replace the damaged equipment. Inflow and infiltration are the factors that lead to flooding. The water comes from leaky pipe joints, roof drain connections, leaky manholes, missing manhole covers — storm water coming into the waste water system — as well as leaky customer sewer lines and sump pumps, Demis said. He added that Sterling’s system is relatively old; the design life of pipes is about 50 years, so pipes that have been in the ground since 1966 or earlier are at the end of their useful life. “It’s now time to start thinking about fixing them, or at least trying to slow down the amount of leaks,” he said. He showed a graph that looked at a significant rain event. Prior to the storm, the typical influent flow to the system was averaging about 1.7 million gallons per day. The rain event exceeded the system’s pumping capacity, so the total amount of inflow isn’t known, but Demis noted that for two weeks following the storm, inflow remained above average. 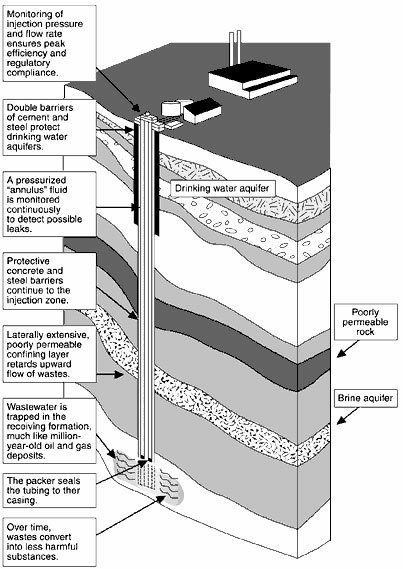 He said that is due to infiltration from groundwater leaking into the sewer system. Sterling needs a larger pumping capacity, and with it a larger pipe to carry the waste water to the treatment plant. Demis said the city also needs to put in 30 million gallons of storage so when there is above average flow, that water can be fed slowly into the treatment plant and allow the biological processes to occur, which prevents violations. Changes to regulations as soon as next year will require additional processes at the treatment plant. In November 2017, Sterling will have to meet a Total Inorganic Nitrogen (TIN) limit of 10 mg/L of Nitrogen when discharging to the recharge basins, which it cannot do. By 2022, the city will face limits on nitrogen and phosphorus that it also cannot meet. The city will need additional tanks and chemical systems for nutrient removal as well as new process equipment, and new clarifiers as the existing ones are at the end of their life. The new equipment will necessitate upgrades to the electrical system, and they will need to implement a process control system to ensure they are meeting the requirements. Demis noted that nitrogen and phosphorus are popular fertilizers, and they promote the growth of algae, which can kill fish. Demis told the council he would make further presentations as they complete analysis of the data and the options available to the city. The difference lies in the new multi-million dollar water treatment plant, less than a mile from the diner. “The EPA…put the city on an enforcement order where we were basically told we had to fix the problem,” says Jeff Reeves, Sterling’s utilities superintendent, who supervises operations. The city and the state had long been aware of problems with the drinking water, specifically that it contained radium and uranium, contaminants that can lead to kidney problems and bone cancer. 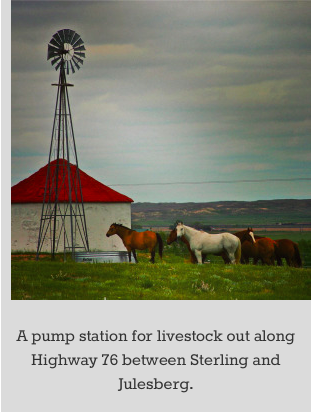 Falco says dozens of other communities, all on the Eastern Plains, are also struggling with water quality because like Sterling, they rely on ground water. The EPA issued new drinking water standards in 2008, which meant those locations were now out of compliance with federal standards. Falco and other state health officials started working with the communities to improve the water systems. Sterling’s new water treatment plant is about a year old, and has put a dent in those numbers. This town of about 15,000 people in the South Platte River Basin was the largest municipality in the state facing this water quality issue. The plant uses reverse osmosis to remove the uranium and radium. 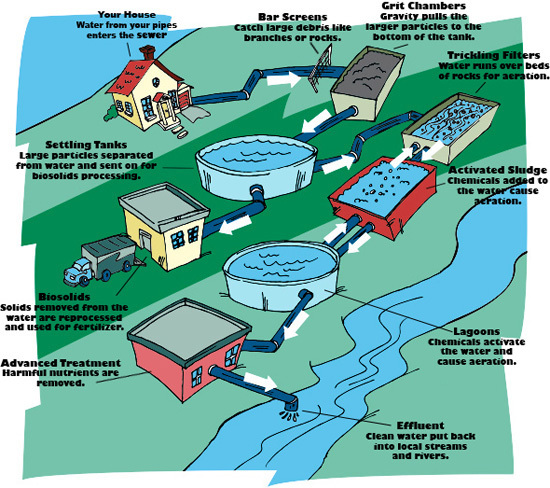 Reverse osmosis forces the water through a membrane, trapping contaminants which then form a concentrated brine. But there are a couple of challenges. One is a 15% loss in usable water due to the treatment process, a significant figure for a region grappling with water quantity AND quality. The other problem is what to do with that wastewater. Despite those two challenges, Reeves says the city of Sterling now has water that is well within federal standards. In addition, the reverse osmosis process has also improved the taste. The water treatment system came online about a year ago, five years after city received an enforcement order due to levels of uranium and trihalomethanes above the drinking water standard allowed by the Environmental Protection Agency. 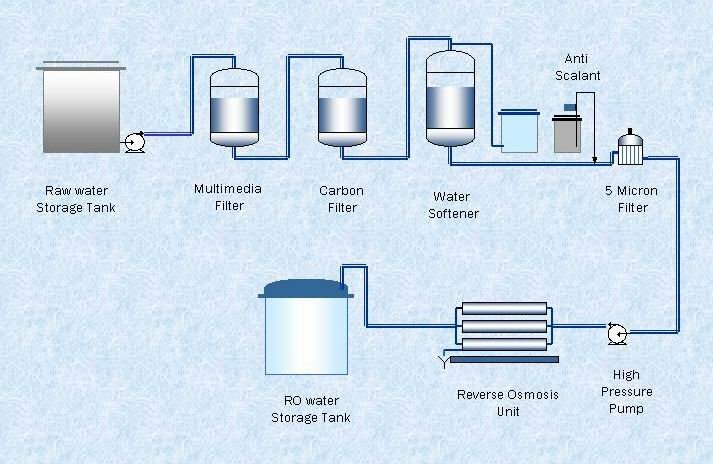 To address that issue, as well as high levels of sulfate and total dissolved solids, the city opted to construct a new reverse osmosis water treatment plant. The plan featured a challenge because of the uranium — the result of runoff over naturally occuring uranium deposits upstream — that would end up in the treatment brine. Engineers with Hatch Mott MacDonald came up with a solution: coupling the reverse osmosis system with EPA Class 1 deep injection wells to dispose of the waste water. “The result enabled the city to meet its water quality goals to provide 14,000 residents with safe, clean and aesthetically pleasing drinking water — and building a 9.6 million gallon per day water treatment plant without incurring the costs and risks associated with the disposal of uranium contaminated waste,” the award announcement states. The 7,000-plus foot wells pump the contaminant deeper than water that is used for drinking water. The project was funded with a voter-approved $29 million loan from the Drinking Water Revolving Fund through the Colorado Resources and Power Development Authority. City Manager Don Saling called the award “quite an honor for the engineers.” He added that the well drilling company has asked to use the wells for a case study. According to the ACEC-CO release, the winning projects are ranked by a panel of judges representing a cross section of industry, academia and media, assemble to rank the submissions on engineering excellence. Projects in the competition are rated on the basis of uniqueness and innovative applications; future value to the engineering profession; perception by the public; social, economic, and sustainable development considerations; complexity; and successful fulfillment of client/owner’s needs, including schedule and budget. The other projects receiving top honors were the Denver Union Station Redevelopment, new Transit Center, and Pecos Street over I-70 Bridge Replacement. 2015 Engineering Excellence award-winning projects will advance to ACEC’s national competition in Washington D.C., which will be held in April next year. For more information, visit http://acec-co.org.